Great fishing and comfortable accommodations are key factors when you are trying to decide which lodge to go to for your fishing vacation. A big factor that sets Birch Dale Lodge above the rest is the available options you have for experiencing different adventures throughout your stay. Not only do we offer daylong fly-in trips to over 24 trophy lakes, we offer remote daylong backcountry trips to remote lakes where only by having a tough 4x4 vehicle and an intimate knowledge of the intertwining roads can you find these oustanding trophy fishing lakes. 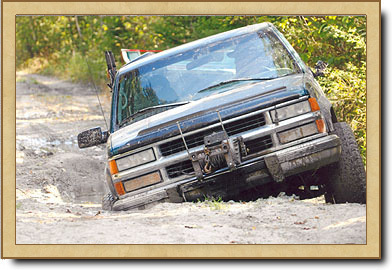 Local guides will take you way back into the wilderness outback country using winch-equipped 4-wheel drives. You drive down ATV paths and old roads with potholes that are big enough to be called foxholes, which is why nobody else fishes these lakes. It's quite a ride and something that you and your children should experience at least once. The last 8 miles is the real fun part of the trip. 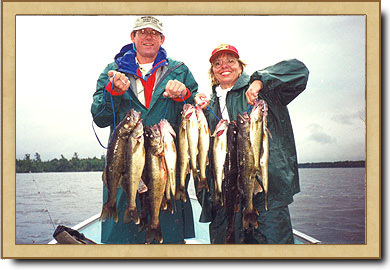 Experience some of the greatest Walleye and Northern Pike fishing to be found. We only take a maximum of 5 guests at a time and we encourage catch-&-release. 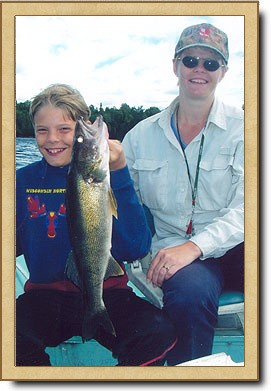 Every summer guests catch 15 to 20 Walleyes over 8 pounds. 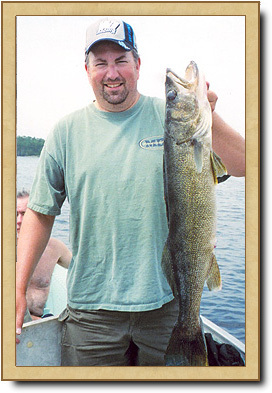 There are many Northern Pike caught over 12 pounds. Some lakes we keep boats on and other lakes are so remote that we have to bring boats with us. The boats are 16-foot Nadins with 15 h.p. Evinrude Motors. The boats are equipped with swivel bucket spring seats and all the safety equipment needed.  You will leave at approx. 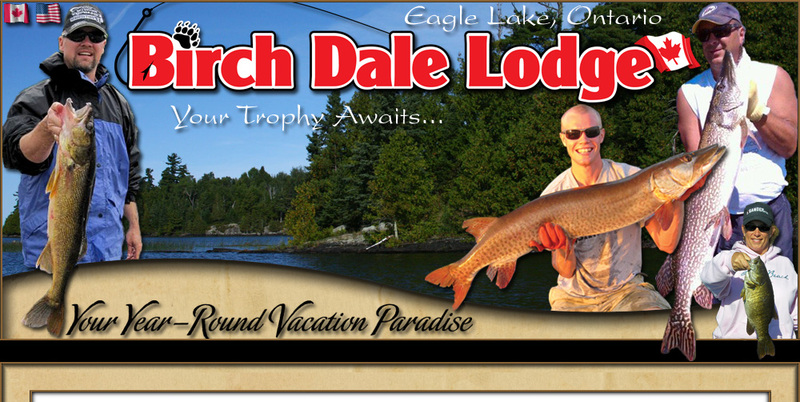 7:30 a.m. and your guide will have you back to Birch Dale Lodge by 5:00 p.m. There is not enough time for a traditional shorelunch so we bring sandwiches. This is an experience our guests talk about forever. 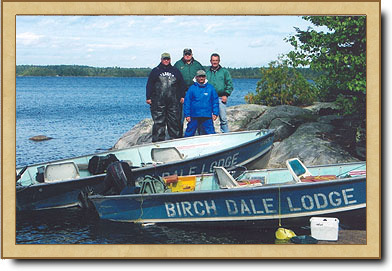 You should really consider this adventure while at Birch Dale Lodge! It's up to you, the fish are waiting and Hungry!